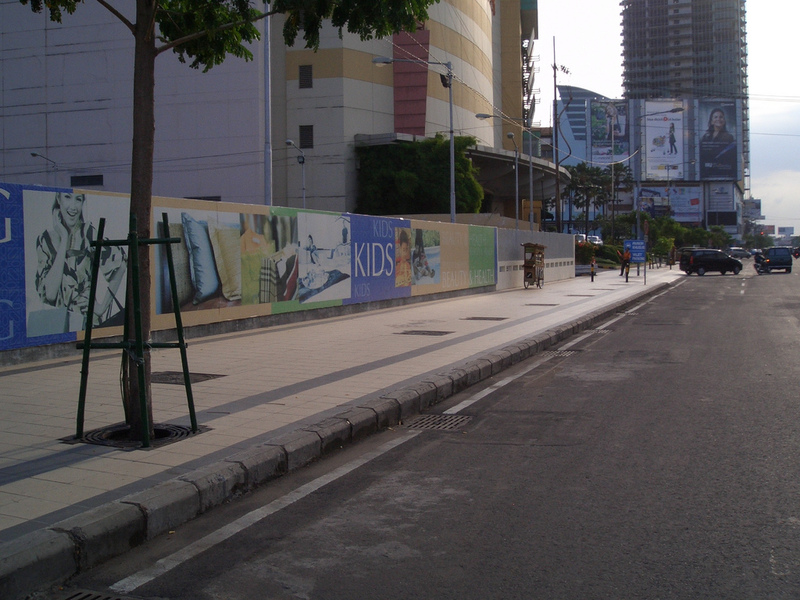 RIGHTBRAIN GROUP dreams to create a unique social space and community for those who are passionate to create, support, and appreciate the circle of Indonesian creative industry. are in need of a space to meet, create networks, and not to forget, have fun together. This event will hold all the actors of creative industry, so they can enjoy each other’s creation. Since our focus is the creative industry, fashion, music, design and many other elements are going to be showcased in many forms. A photography exhibition and fashion show by numerous local fashion brands such as La Douche Vita, PARD, Pot Meets Pop Denim, Bluesville, Voyej, House of Jealouxy, Tosavica, Mischief, and many more. 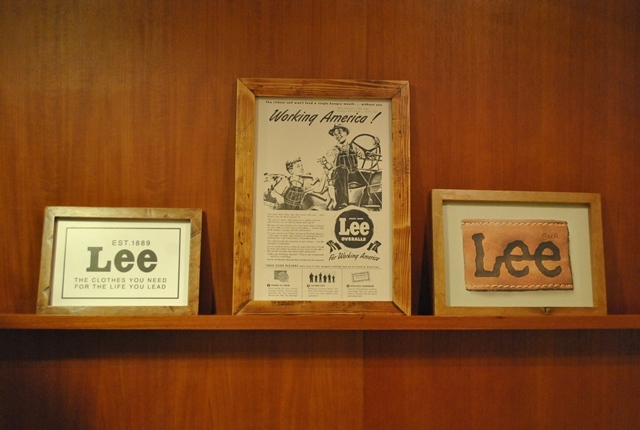 Music and design are also showcased by FFWD, Norrm, and UNKL. Not to forget the entertaining side, the day will be colored with tunes by selected DJs, Hogi Wirjono, Egga, Bergas, Mr. Dymz, Barry, and the newcomers of local music industry, Papermoon Production. 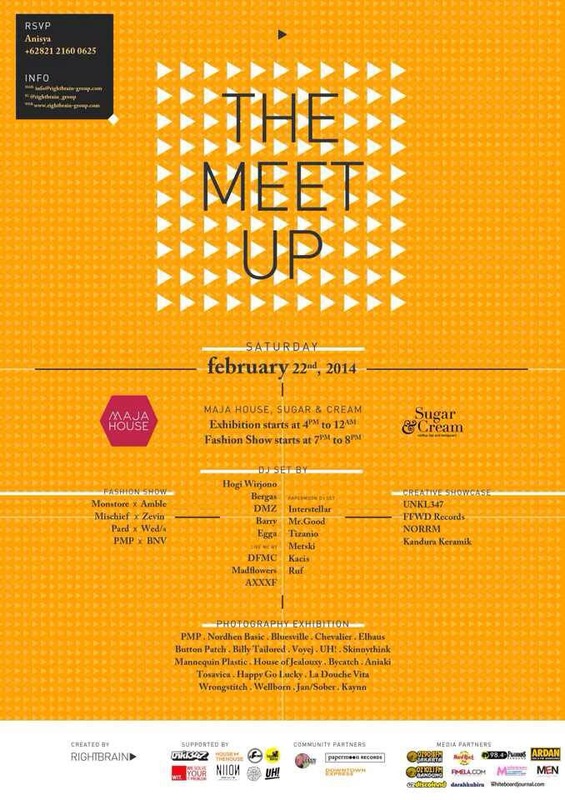 THE MEET UP 2014 will take place at Maja House Bandung, February 22nd 2014. 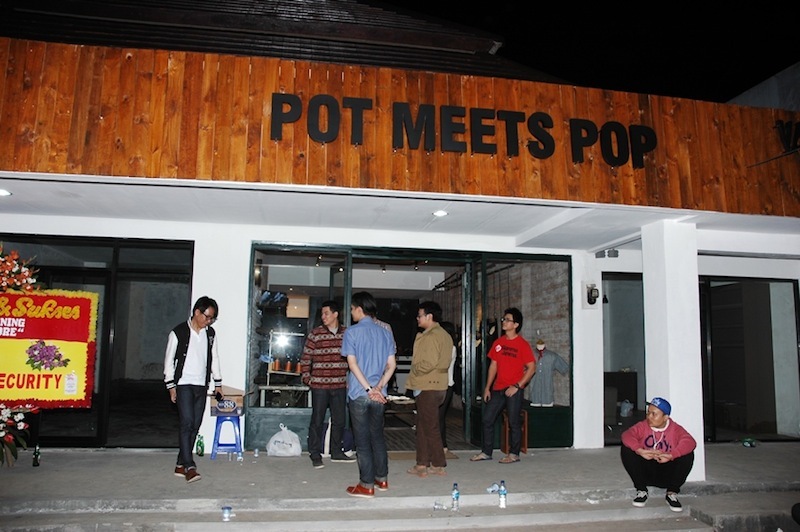 Famous for its urban youth crowd, Maja House offers a social space with an amazing view of Bandung. It is going to be an exquisite place to enjoy the creative industry, make networks, or just to have a drink or two, and of course, to party.